This was my first try at collapsible. I was using 1 inch piping. When I first made it, I collapsed when it was still hot and messed up the piping. It's taped with duct tape. I really hate duct tape on hoops. When I remade it with intentions to go to work, it snapped. So I did this and took tape with me to work. At work, I popped it in and taped it off. It still looks misshapen and awful. Although it's good to have a hoop just ready for me to hoop with at work. I used duct tape because I didn't want to gaff a hoop and it get stolen/thrown away. I might make an extra 160 3/4 hoop to take to work but use vinyl with a note attached saying, "Use me. 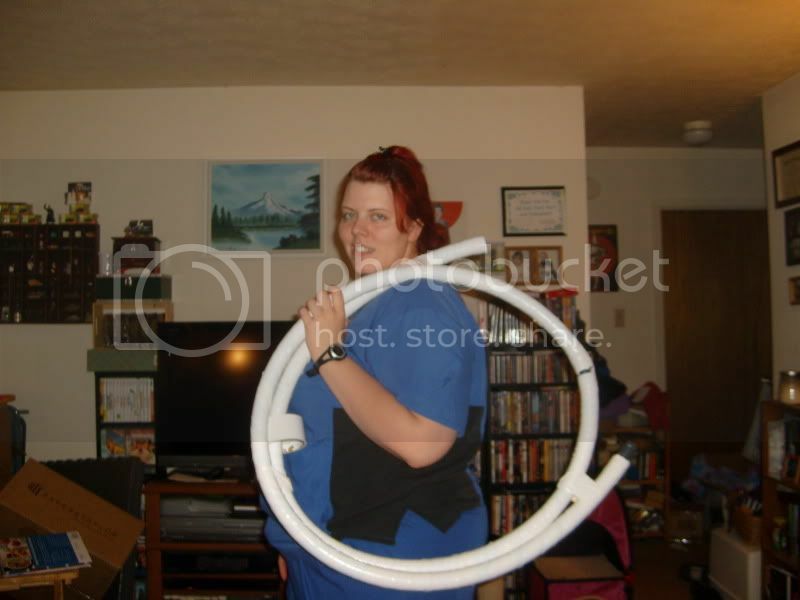 I'm a hula hoop!"